Led by a new CIO, fresh from Toyota, the insurance carrier is looking to revamp internal IT and tap emerging technologies to better support its 19 million policy holders. Farmers Insurance may test drones that detect wildfire hazards and sensors to detect motor vehicle damage, says new CIO Ron Guerrier. The concepts are part of a corporate imperative to embrace emerging technologies that can help its representatives more quickly resolve claims. 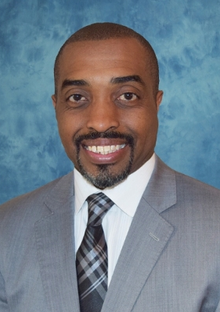 Farmers Insurance CIO Ron Guerrier. "Emerging technologies is definitely top of mind for this organization,” says Guerrier, who joined the company earlier this month from Toyota. He credits his bosses, COO David Travers and CEO Jeff Dailey, with being progressive in their thinking of how technology can add value to the organization. Guerrier’s duties include upgrading back-office systems and identifying emerging technologies, a bi-modal IT construct practiced by Ford, among other companies. Farmers is not alone. 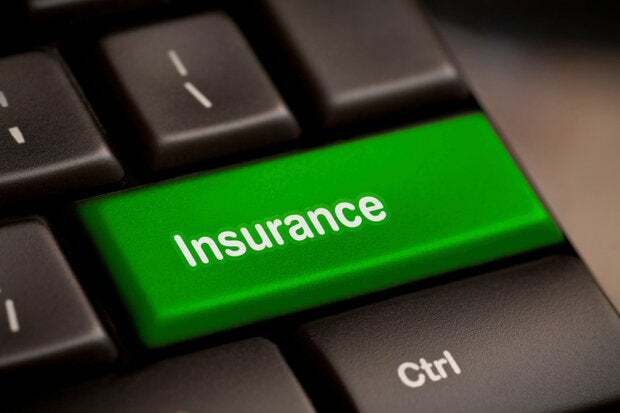 The insurance sector is replacing manual, paper-based processes with online and mobile software and services, the modes with which consumers and employees prefer to conduct business. But the industry is also looking to use technology to help consumers mitigate risk and accelerate claim resolution, a traditionally onerous and time-consuming chore. Guerrier says Farmers is evaluating how it may use drones to check if brush has been sufficiently cleared in California neighborhoods prone to wildfires, which have cost town millions of dollars in property damages. "We're looking at where technology can extend our view and better inform the customer," he says. Allstate recently revealed that it is testing drones in this capacity, which it says can be especially after a catastrophe or an accident, when local authorities or potentially hazardous conditions make it impossible for agents to conduct their assessments. The Internet of Things phenomenon could also play a role in automobile claims resolution. For example, Guerrier says a sensor-equipped car that gets hit by a shopping cart in a store parking lot could notify the owner, via an alert to their smartphone, about incident and offer to contact a Farmers claims representative. He says some Farmers staff will attend the Consumer Electronics Show this week to see how the company could leverage IoT tools. Progressive ideas are something Guerrier appears well-suited, and willing, to bring to fruition. He gained attention cultivating an innovation lab at Toyota Financial Services, where he worked for the last three years as CIO, overseeing a staff of 1,200 people. In this lab, Guerrier encouraged business partners to co-develop technology for customer knowledge, marketing and operations and with his IT staff. The lab, which Guerrier "hardened" with security protocols, explored such IoT initiatives as using beacon technologies to send text messages with car details when a customer walks past the car at a showroom. Guerrier says Farmers' IT could help formalize what have been, to this date, largely informal skunkworks innovation projects. It would also put Farmers in league with Progressive, which has created a "business innovation garage" to test new technologies to determine whether they are viable for the market. To drive such innovation at Farmers, Guerrier is planning several back-of-the-house improvements. He will replace mainframes and other 15-to-20-year-old systems with new “best-of-breed” servers and software that enable Farmers to be more responsive to customers who can't wait a whole day for legacy systems to complete their batch processing. "A customer does not want to wait [until] the next day for something," Guerrier says. "When they're paying their bills in their pajamas at 2 a.m., they want to know by 2:02 a.m. that it went through -- not the next day." Following a practice he embraced at Toyota, Guerrier says he prefers to work with partners, including cloud providers, application service providers or consultants, who know the insurance industry's regulatory requirements well and can provide technology that is 80 percent "plug-and-play right out of the box." The remaining 20 percent would include Farmers "special sauce," including technology modifications to best serve customers. He says much of the industry is practicing this 80/20 rule because building technologies from scratch, while typically effective, tends to be cost-prohibitive and resource-intensive. "It's just unwieldy," he says. Guerrier will adopt cloud technology when and where it makes sense, but he says it isn't the answer in every scenario, particularly for regulated industries that require that businesses have mechanisms for auditing the data. "The business drives the need," Guerrier says. "My job as the CIO to explain the risks and rewards of those decisions and then we move forward with them together." He’s evaluating both on-premises and cloud-based email software that would support better access via smartphones and tablets than the current system. Farmers brand legacy won Guerrier over with its solid reputation and commitment to customers. He cited the organization's work in helping rebuild towns racked by natural disasters over the last few years. "We tend to go above and beyond to meet the customers' needs and that's very important to me," he says.